These eBooks are great resources to enhance your training and deepen your discussions. Feel free to share them, print them, and bring them to staff meetings or training sessions to discuss or debate its contents. These concise and insightful resources provoke a new way of thinking, provide new resources, and help you get important conversations started! Coordinating care for clients and patients with complex health problems can increase the risk of professional boundary violations for care managers and case management teams. 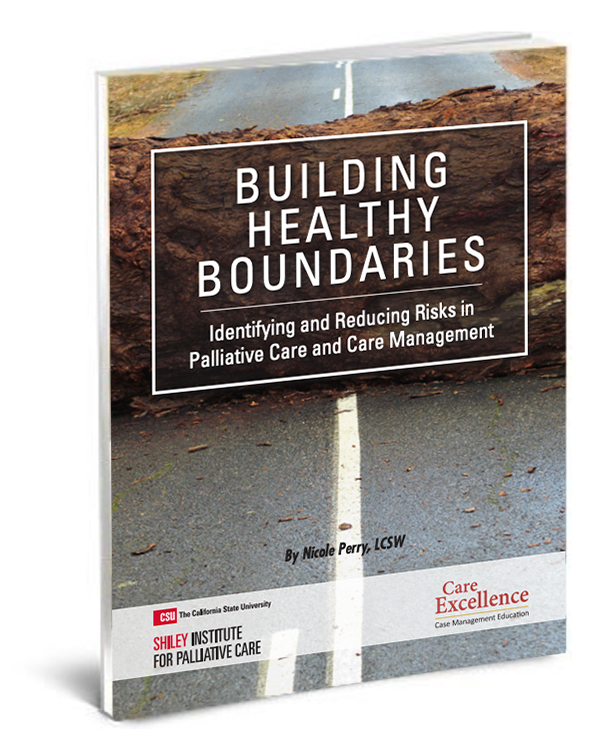 This eBook will help you identify types of unhealthy boundaries; explain how healthy boundaries lead to better patient outcomes and satisfaction; and deliver tips for establishing healthy boundaries. Getting patients engaged in their own healthcare is key to their ability to self-manage chronic illness, and is one of the most important skills for case managers and care managers working with complex care populations. 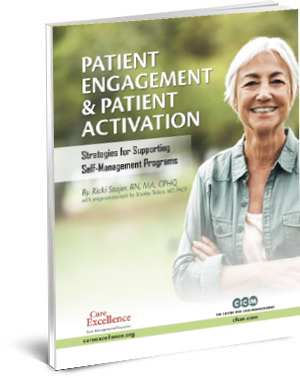 This eBook will explore how patient engagement/patient activation dramatically impacts patient outcomes; describe new and existing models for engaging patients; and explore the role of care managers in educating and activating patients. The concept of “Gratitude” sounds warm and fuzzy but there’s actually significant logic and science behind the practice. 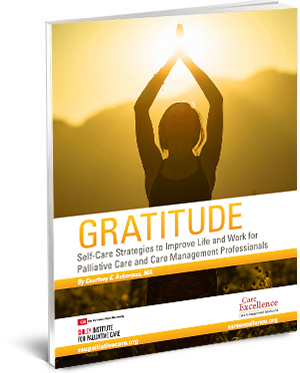 Download your free copy of Gratitude: Self Care Strategies to Improve Life and Work for Case Management Professionals. See how these new gratitude skills and exercises can help you and your members reduce stress, build resiliency, cope with difficult health issues, and improve work and family atmospheres. This informative guide includes a new tool called “Who I Am and What I Need” (Who-What) that clinicians can use to help patients get to the heart of how they define themselves and what brings them meaning. 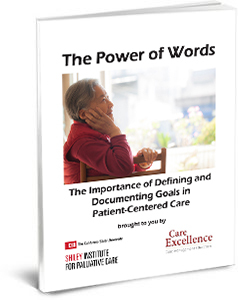 This eBook includes information on how to understand patients on a human level. It explores the importance of an interdisciplinary approach. And, it gives you a downloadable tool you can edit to fit your organization’s needs that will help you document who your patients really are and what they need most. As our population ages, the need for qualified case or care managers is increase at a staggering rate. 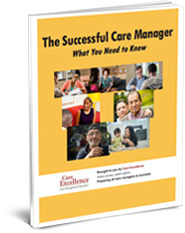 In this eBook, you’ll learn what it means to be a great care manager. You’ll discover new ways to connect with those you work with and the people your organization serves. You’ll find examples of effective and ineffective communication skills. And, you’ll see the news skills required to grow your career and become a top performer in your organization. 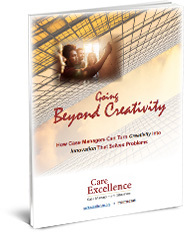 Learn new ways to solve problems in an increasingly complex work environment. Recognize the important differences between innovation and creativity. Uncover new ways of unlocking your own creative intelligence and that of others. Ultimately, you will discover new ways to operationalize your innovations for the good of your team, the company, and those you serve.